Dominic Armstrong impresses audiences with his musicianship, characterization, and dynamism of repertoire. 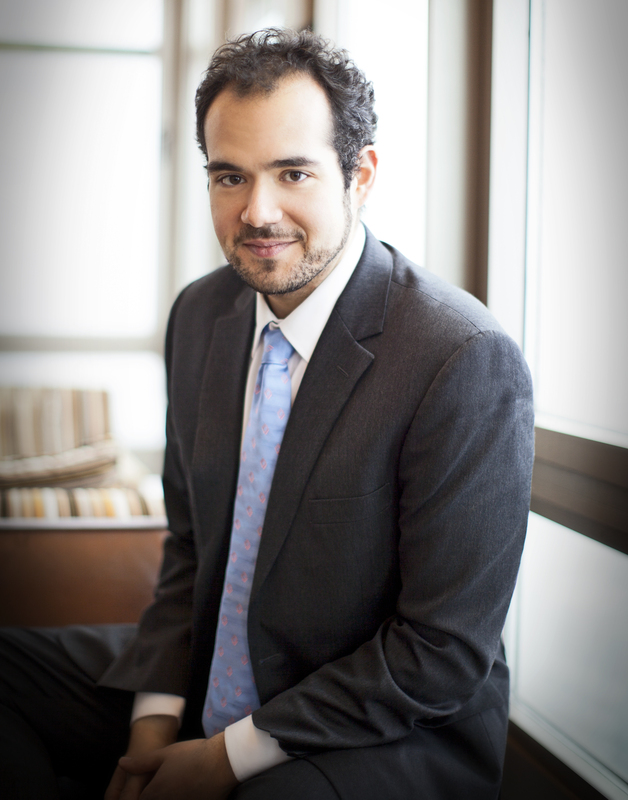 A Metropolitan Opera National Council Finalist and winner of the George London Competition, Mr. Armstrong has made important debuts with companies in the United States and internationally. 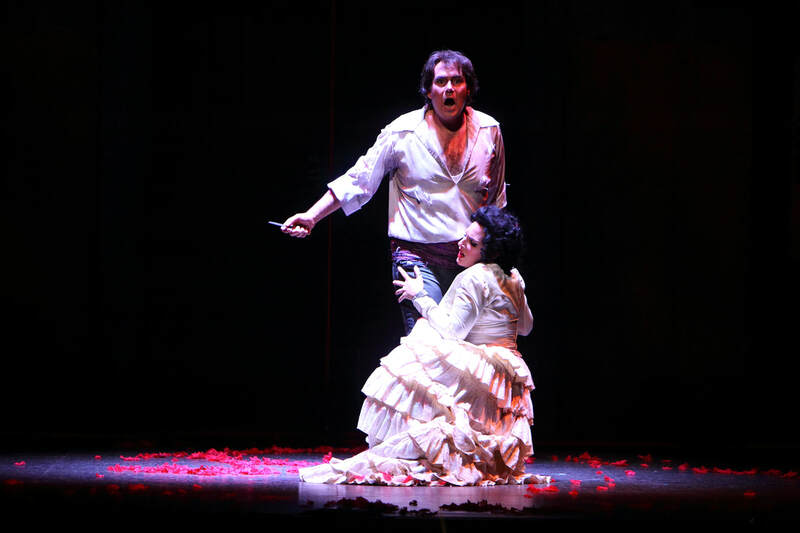 Recent performances have included productions of Tosca (Cavaradossi) with Maestro Emmanuel Plasson in a tour of southern France; a nationwide tour of the US with his alma mater, The Curtis Institute, joined by Mikael Eliasen, Milos Repicky; as well as debuts with LA Opera (Edgar Allen Poe and Cecil Cheshire in Gordon Getty's Scare Pair), Opera Omaha (Lurcanio in Handel's Ariodante), Syracuse Opera (Macduff in Verdi's Macbeth), and the completion of the first performance of Wagner's Die Walküre in Miami in 30 years portraying Siegmund with the Miami Music Festival. 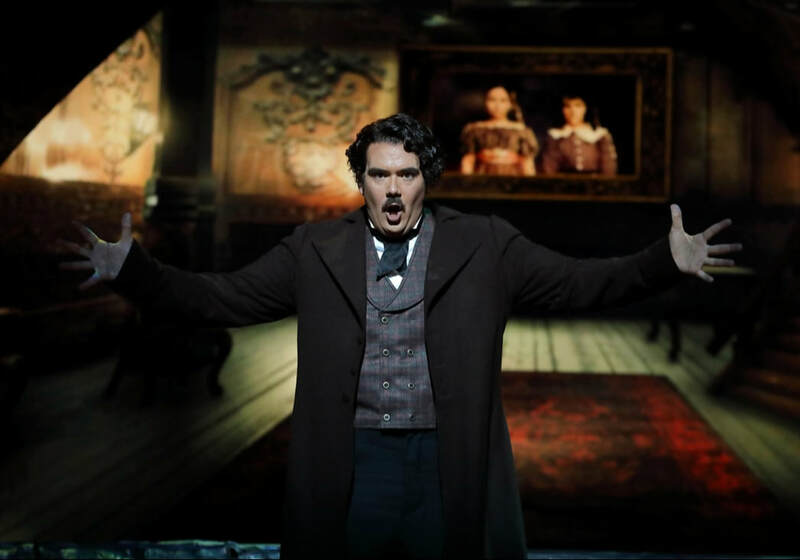 Upcoming highlights include a debut with the Kentucky Opera revisiting the role of Don José, and joining OnSite Opera in New York City, portraying the role of Peter Quint in Benjamin Britten's The Turn of the Screw. Other milestones include performances with the New York City Opera, Chicago Opera Theatre, Lyric Opera of Chicago, Opera Philadelphia, Opera Colorado, Opera Regio Torino, Deutsche Oper Berlin, Wexford Festival Opera, Ars Musica Hong Kong, Carnegie Hall Presents, Lincoln Center Festival, Chautauqua Opera, Prototype Festival, and many others. On the concert stage, Dominic has recently joined the Florida Symphony for Michael Tippett's A Child of Our Time, Kaohsiung Symphony in Taiwan for a New Year's Concert, Milwaukee Symphony for Bach's Magnificat, and the Orchestra of the Tchaikovsky Conservatory (Svetlanov) and several other Russian orchestras with Maestro Mark Mandarano on a tour celebrating Leonard Bernstein. In the coming months, Mr. Armstrong will make debuts with both the Amarillo Symphony (Tenor Soloist, Beethoven 9) and the Portland Symphony Orchestra (Tenor Soloist, The Bells, Rachmaninoff). Other symphonies and orchestras Mr. Armstrong has appeared with include The Russian National Symphony (Brabbins), Philadelphia Orchestra (Nizet-Seguin), Boston Symphony Orchestra (Nelsons), Detroit Symphony (Slatkin), Portland Symphony (Portland, Oregon), Rochester Symphony, Waterbury Symphony, Princeton Symphony, Symphony in C, National Symphony Orchestra, Lansing Symphony, and the New York Philharmonic (Gilbert). ​In recital, Dominic has been heard with his consistent partners at The Brooklyn Art Song Society, performing most recently in a collection of Charles Ives and Aaron Copland evenings. Other recent collaborations include concerts in San Francisco (Lieder Alive), Davis, CA, The Dame Myra Hess Series in Chicago, the National Gallery of Art in Washington, D.C., and the series at the La Jolla Athenaeum. Summer of 2019 Dominic made a return to Twickenham Festival in Huntsville, Alabama, where he sang the complete songs of Henrí Duparc with Susanna Phillips and Roman Rabinovich. Other art song collaborators have included Craig Rutenberg, Mikael Eliasen, Brian Zeger, Rachel AuBuchon, Michael Brofman, Milos Repicky, Shannon McGinnis, Joel Harder, and Wilson Southerland. In the fall of 2019, an album of Lori Laitman art song will be released featuring Dominic collaborating with Warren Jones and Andrew Rosenberg. In early 2020, Mr. Armstrong plans to collaborate with pianist Joel Harder on Janacek's The Diary of One who Disappeared with Brooklyn Art Song Society. Dominic has worked with many contemporary composers interpreting, creating, and workshopping operas, art songs, and oratorios by John Corigliano (Ghost of Versailles), André Previn (A Streetcar Named Desire), John Musto (The Inspector; Rhoda and the Fossil Hunt), Matthew Aucoin (The Crossing), Harold Meltzer (Beautiful Ohio), Jeremy Gill (A Whitman Portrait), Laurence Siegel (Kaddish), Frédéric Chaslin (Clarimonde), Steven Stucky (The Classical Style), Gordon Getty (Usher House; The Canterville Ghost), Missy Mazzoli (Breaking the Waves), and creating the role of Arthur Dimmesdale in Lori Laitman's The Scarlet Letter. He has also participated in American Opera Project's Composers and the Voice program. 'There is fervor in his declamation of the text and his high range is free of strain or harshness. Armstrong’s singing was nothing short of thrilling, capped by a subtly quiet “Winterstürme” that spanned the full lyrical spectrum." Tenor Dominic Armstrong sang with impeccable control and focus, smartly balancing a secret love for Prynne against his self-righteous pose as the moral leader of the community." ​Dominic Armstrong, in the pivotal role of Dr. Richardson, best captures a sense of mastery of the material, bridging the chasm between the sweeping music and the vernacular lyrics. His scenes with Bess are likewise among the most memorable of the evening. His performance possesses a uniquely unwavering sense of purpose." Along with the National Council and George London awards, Dominic has received prizes, grants, and awards from The Sullivan Foundation, The Opera Foundation, Opera Index, Gerda Lissner Foundation, SAI Vocal Competition, The Annapolis Opera, Gold Medal Competition (Truman State University), NATS State and Regional awards, and was the winner of the 2009 Liederkranz Art Song Competition. He holds degrees from Truman State University, The Juilliard School, and The Curtis Institute of Music. Training programs in which Dominic has participated include The Chautauqua Institute, Gerdine Young Artists of Opera Theatre of St. Louis, Filine Young Artists of Wolf Trap, The Wagner Institute of Miami Music Festival, The Steans Institute of the Ravinia Festival, and he also spent four years as a performer and member of Lorin Maazel's The Castleton Festival. ​Dominic joins Maestro Jacamo Bairos and the Amarillo Symphony as the tenor soloist in Beethoven's 9th Symphony on April 26, 27, 2019. Dominic joins Maestro Jeffrey Kahane and the Portland Symphony Orchestra (Portland, Maine) as the tenor soloist in Rachmaninoff's The Bells on May 12, 13, 2019. 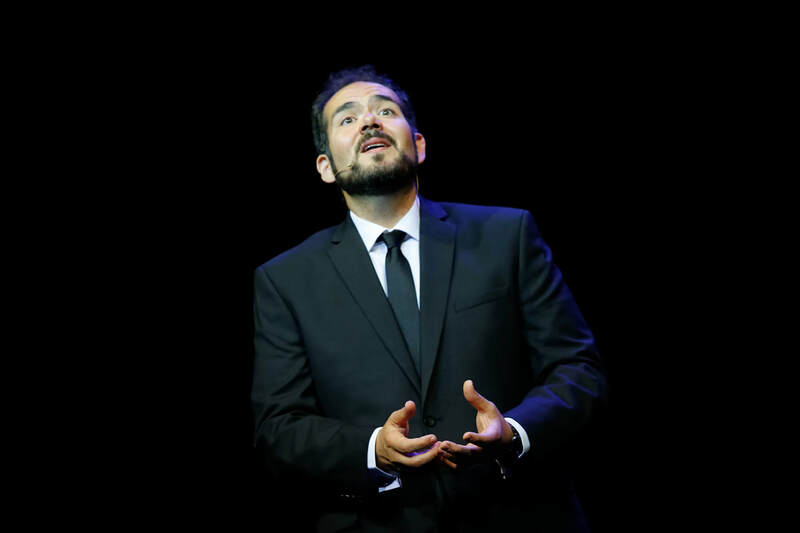 Dominic performs scenes from Verdi's Rigoletto and Leoncavallo's Pagliacci with artists and musicians from the Opera Society of New York at the National Gallery of Art on June 2, 2019. Head to the Gallery, where you can watch and listen to Dominic in recordings from past performances!